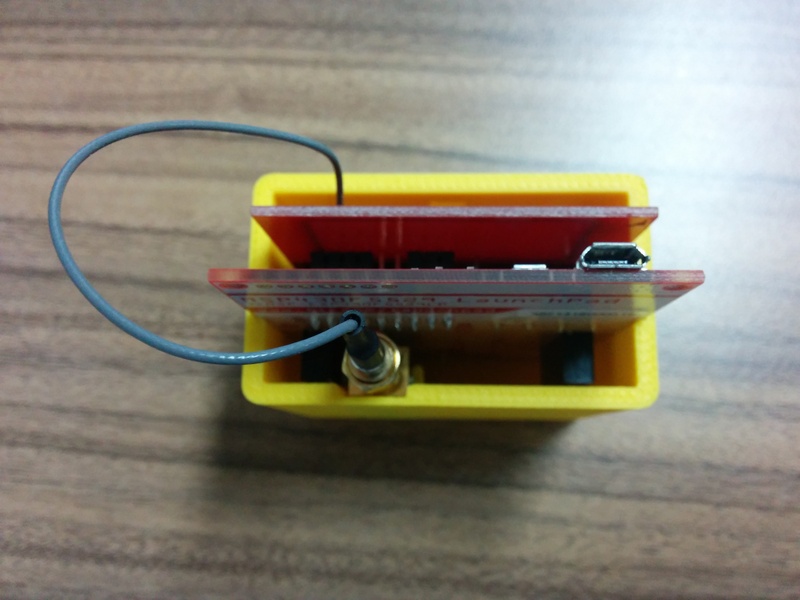 After my experiments with NFC readers I felt it was time to actually create something useful to work with my NFC implant. At work I need to make sure that my PC is locked whenever I leave my desk. It’s not that I work with anything really sensitive, it’s just that given half a chance my colleagues will certainly send an email on my behalf admitting to unusual sexual inclinations or offering to buy everyone biscuits. I decided the easiest way to do this was with keyboard emulation. It doesn’t require me to have any privileged domain access, modify the PC or install anything that compromises security. Plus, it should all be possible using a MSP430F5529. The launchpad, booster pack and antenna. My proof of concept involved a MSP430F5529 LaunchPad and a . I made sure that I could emulate a USB keyboard, implement a USB CDC serial port and read my tag id. The USB side of things was adapted from some of TI’s example code. The NFC stuff was a little trickier. The Booster Pack is sold bundled with either the G2 or F5529 Launchpads. However the sample code is surprisingly complicated and only supplied for the MSP430G2553. 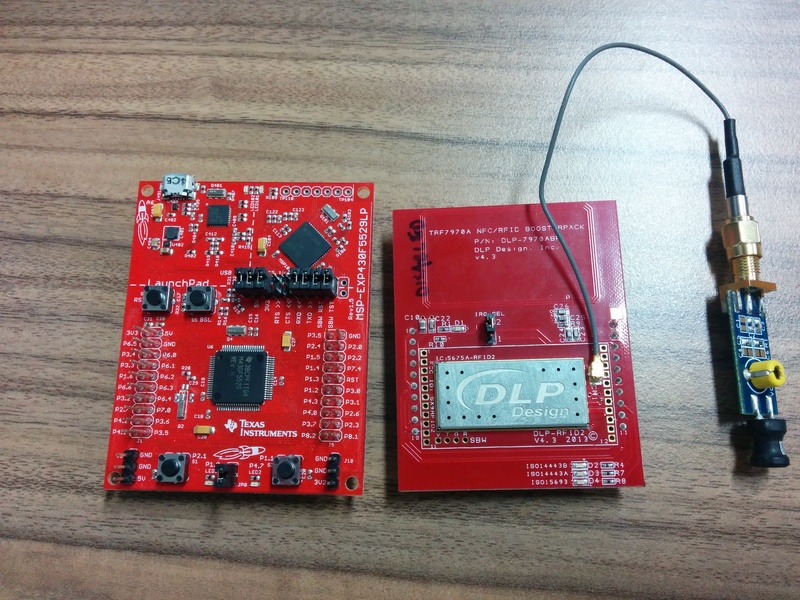 Porting it over to the MSP430F5529 should have been fairly simple – just changes to some in assignment and clocking. It somehow took me ages but I managed it in the end. I must publish my ported code to save other people the same trouble. A USB CDC serial port allows me to set the password (but not read it). It’s stored in the microcontroller’s flash so persists when powered down. Hardware wise for version 1.0 I went with the setup from my previous including a DLP coil antenna and a cheap bit of U-FL to SMA cable from eBay. I don’t intend that the final version will be using a dev board and booster pack. It’ll be a custom etched PCB, but I decided to take the same approach as with Agile software development – produce a minimum viable product first and improve later. If I don’t ever get round to a nice neat version 2.0 then at least I can actually log in with my implant. I 3D printed a case that allows the launchpad, booster pack and antenna to slot in. 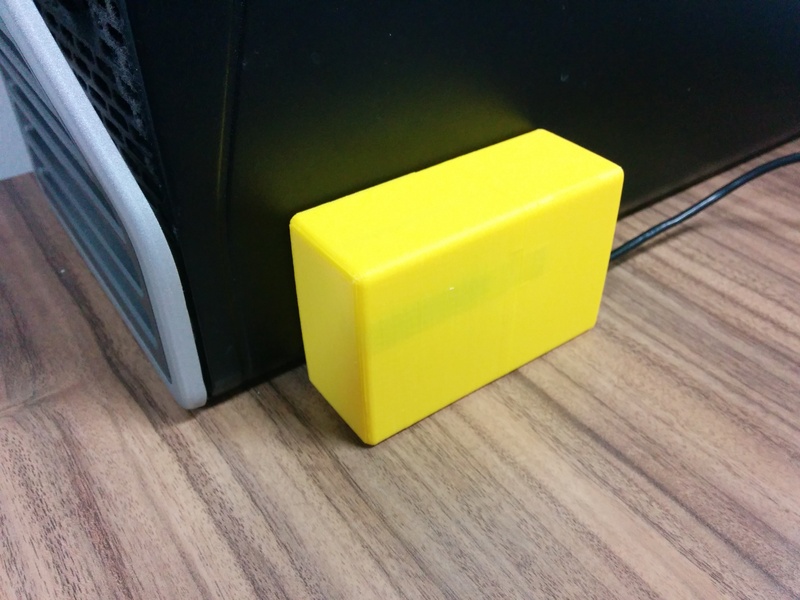 It comprises two parts that clip together and a couple of magnet to hold it firmly against the PC case on my desk. The case is 3mm thick but only 1mm thick by the antenna coil so it reads fairly easily. The final version looks a little dull. 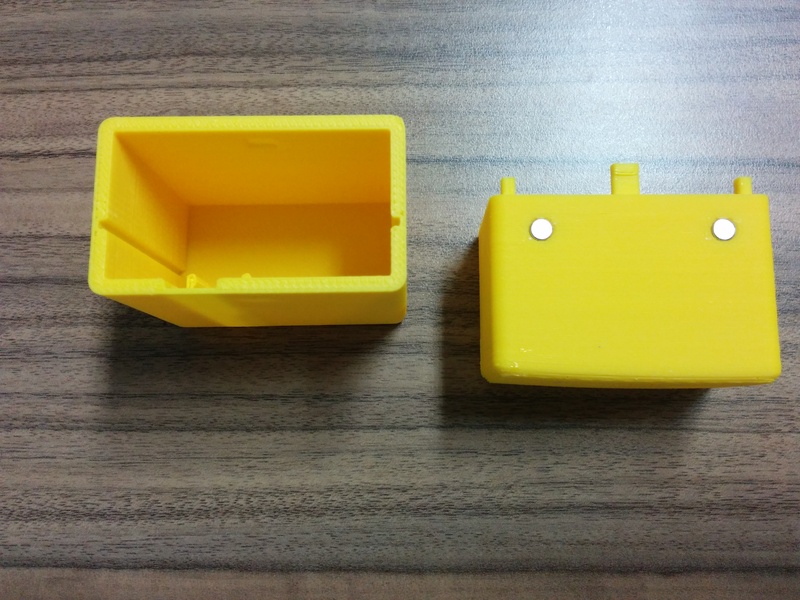 It’s a plain box that was almost done in black, but I happened to have yellow filament in the printer. All that happens when I successfully scan my tag is that a red LED shows through the case for 5s whilst scanning is temporarily disabled and my PC unlocks. I’ve got a little bit of tidying of the code before I include it. As it’s evolved from two different lots of sample code in different styles it’s a little bit messy. I’ll also attach the STL files for the case – designed once again in my 3D modelling package of choice OpenSCAD.